Yesterday, May 2nd, 2011, saw the 400th anniversary of arguably the most influential piece of literature in the English canon, the King James Bible (KJB). In USA Today Henry G. Brinton, the pastor of Fairfax Presbyterian Church in Virginia and author of Balancing Acts: Obligations, Liberation, and Contemporary Christian Conflicts(2006), wrote a fascinating piece entitled “America, the biblical.” Brinton complicates the question of whether the U.S. is a Christian nation or not. While noting that none of our founding documents actually reference God or Christ/Jesus, Brinton reminds us that much of our political rhetoric draws on the KJB: “But our use of the King James Version has made us a biblical nation, and we will be such a country as long as we turn to this book for inspiration and guidance.” In being a “biblical nation,” according to Brinton, many of our defining political speeches, from Lincoln’s Gettysburg Address to President Obama’s reference to being our “brother’s keeper,” have been inspired by the language of the KJB. Brinton further remarks on how that in being a “biblical nation” the U.S. is decidedly not a Christian nation. (I particularly enjoyed his pointing out that only 3 of the 10 Commandments would be applicable to civil law – “thou shall not kill,” “thou shall not steal,” and “thou shall not bear false witness” – while one would be utterly unenforceable – “thou shall honor thy mother and father” – and one would actually be unconstitutional – “thou shall have no other gods before me.”) In a way, Brinton touches on a central tension out which was born the KJB, that between politics and religion. 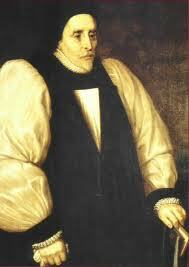 The KJB comes out of period in English history marked by great religious/political contention. Adam Nicolson does a superb job in chronicling the production of the KJB in God’s Secretaries: The Making of the King James Bible (2003). For Nicolson the KJB was meant primarily to unite an increasingly polarized kingdom. 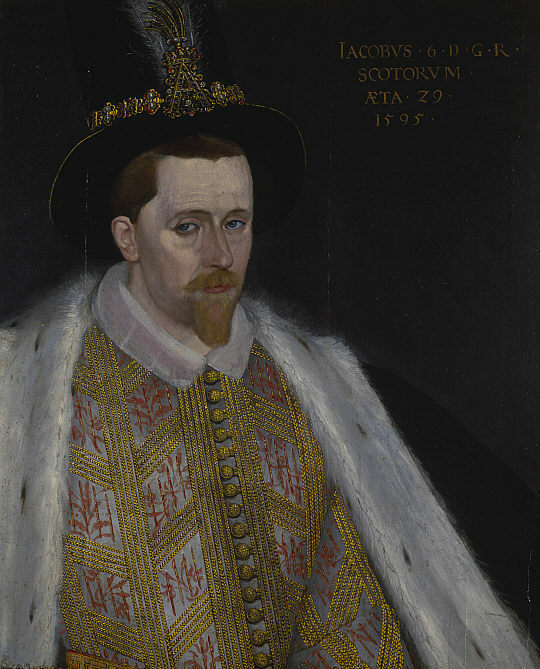 In 1603 James VI of Scotland became James I of England, ascending the throne of a nation caught up in religious conflict. The KJB, from beginning to end, was a state produced text, “a translation that was to be uniform. . . to be revised by the bishops. . . then given, for goodness’ sake, to the Privy Council, in effect a central censorship committee with which the government would ensure that its stamp was on the text” (Nicolson 60). Where the Puritans hoped for greater religious freedom through being allowed to have a new translation of the Bible, James I saw to it that the new translation would be entirely within the state’s purview by handing the project over to the bishops. The KJB was intended to strengthen the state’s control over religion. The KJB translators did have more recent translations to refer to, such as William Tyndale’s English version of the Old and New Testaments. Interesting when considering the spirit of state control under which the KJB was produced, Tyndale’s was the one that they drew the most on. 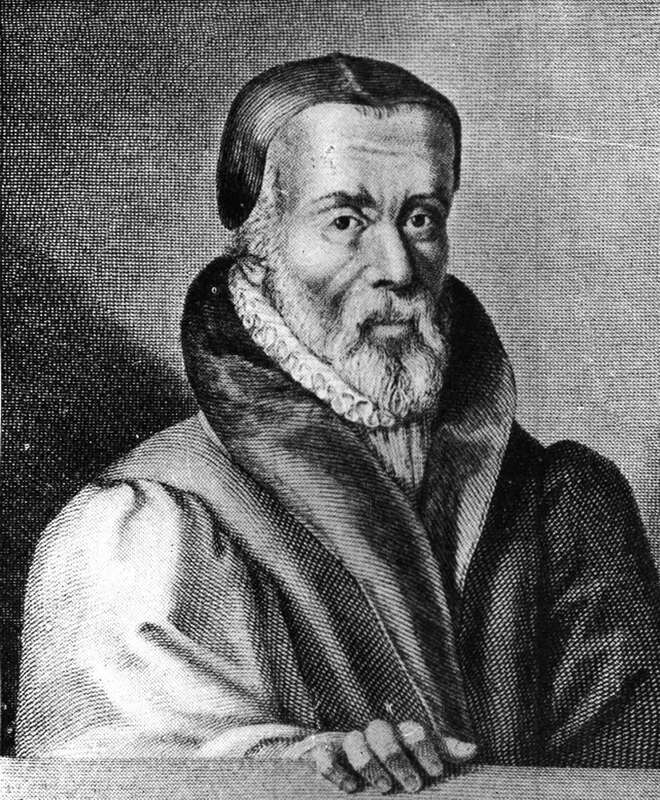 Tyndale was a political/religious refugee, who had fled Henry VIII’s England to avoid state censorship. 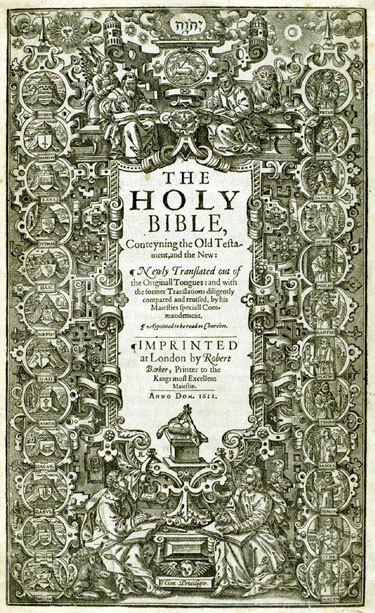 The Tyndale translation was printed over a period of nine years, from 1525 through to 1534. While citing Tyndale enthusiasts’ estimate that 94% of the KJB comes from Tyndale’s translation, Nicolson points out that these two translations reflect different intents: “[Tyndale] was. . . a straight Lutheran, looking for immediacy and clarity in scripture which would shake off the thick layers of medieval scholasticism and centuries of accumulated ecclesiastical dust. The Jacobean Translators had a different commission: to evolve a scriptural rhetoric which could be both as plain and dignified as Tyndale’s and as rich and resonant as any book in the language” (222). When looking over the history of the KJB, the tension between state and church becomes central to understanding its production and legacy, a point that Nicolson helps modern readers of the KJB understand. This entry was posted in Book Reviews, Why the Renaissance matters and tagged Adam Nicolson, Anglicans, episcopacy, Henry G. Brinton, King James Bible, King James I, Lancelot Andrewes, Puritans, William Tyndale. Bookmark the permalink. Hey…handy material. Thankful I recently came across it through Google, to bad it turned out on-page 10 of search results. It appears like your making use of WordPress for your blog, you may need to check into this plugin for WordPress at http://myseopressor.com it has dramatically improved me with my website rankings in Google. I would hate to see your useful blog post not be discovered by other people. Good luck with your internet site. Thanks so much. Will do this.